It's got so much stuff. Any "techy" would love it. Freys Electronics. The one here in Seattle is pretty big. You mean "Fry's"? Yeah those places are crazy. 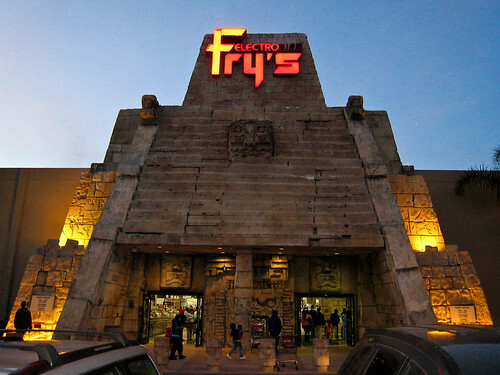 When I lived in San Jose the local one had this whole aztec pyramid theme going on. Yeah. I always get the spelling wrong. I generally like to buy my CD's there. They always sell them pretty cheap.